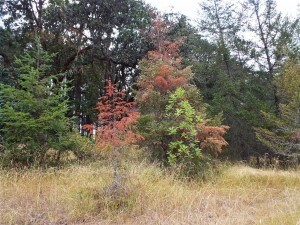 The summer of 2015 is shaping up as a big year for drought and drought related forest health issues throughout Oregon, but especially in the Willamette Valley, SW Oregon, and in Eastern Oregon. In late summer, it can be very difficult to discern whether insects, disease, or drought and heat are causing tree dieback and deaths, but we are becoming pretty confident that drought and heat together are influencing much of what we see. In this report I outline and describe some of the more common problems we are seeing with conifers and hardwoods as of early September. 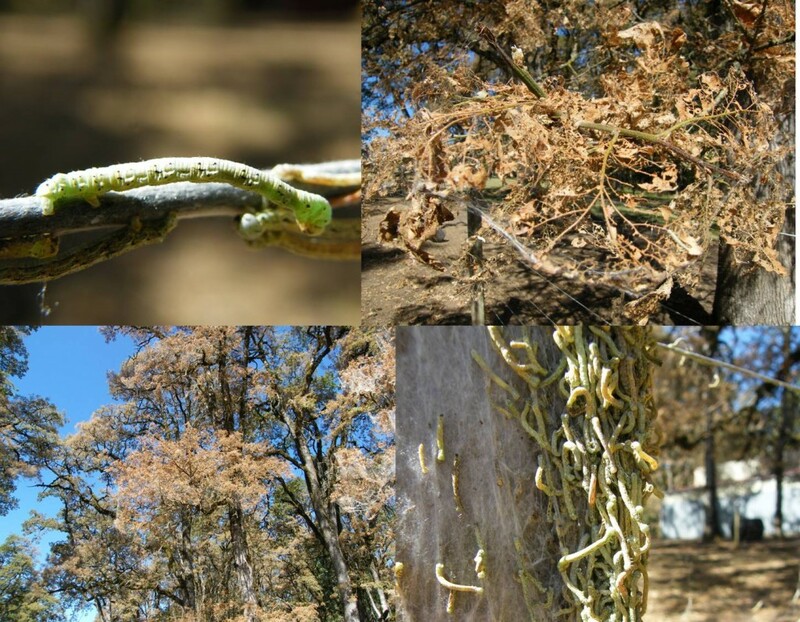 Insects of Oregon white oak are causing some damage this summer, and you may be seeing trees that look completely brown or have scattered dead branches (distinct brown foliage clumps all through the crown). There are two different issues that have emerged around the Valley this summer: whole tree defoliation/leaf eating by the western oak looper (Lamdina fiscellaria somniaria); and scattered branch death caused by the combination of a twig gall wasp (Bassettia ligni) and the western grey squirrel.